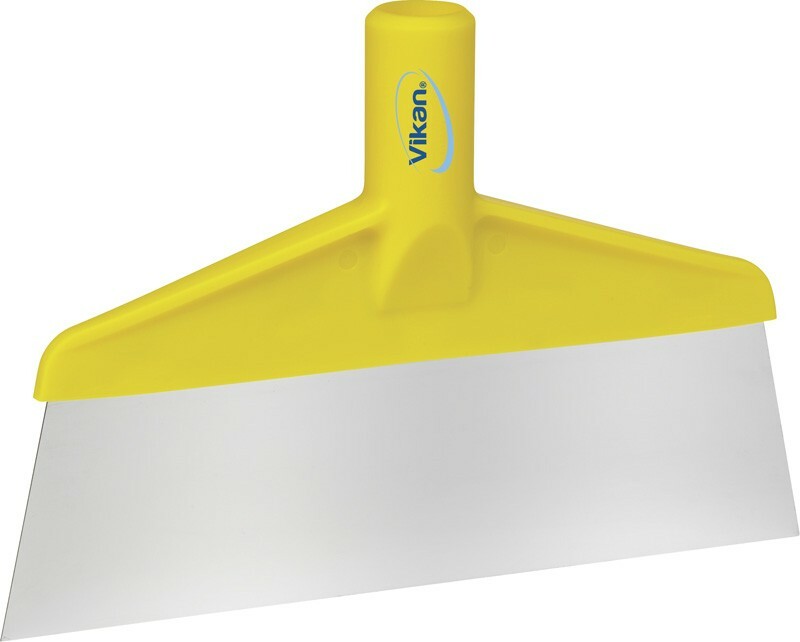 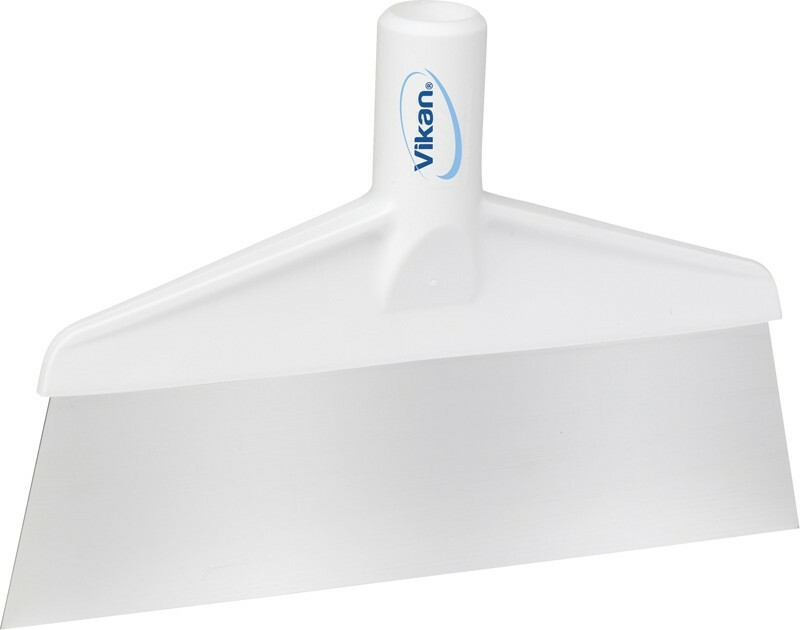 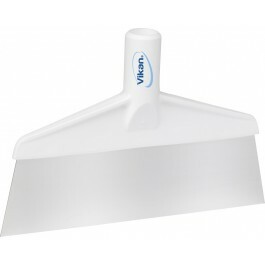 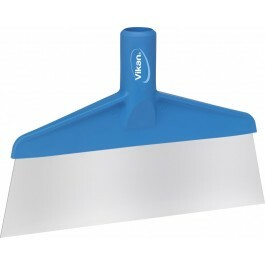 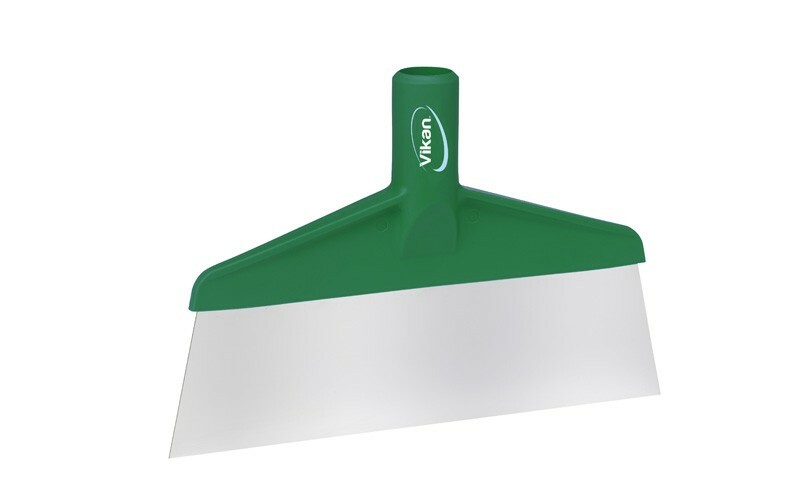 The Vikan Table and Floor Scraper is ideal for removing stubborn dirt and other substances. 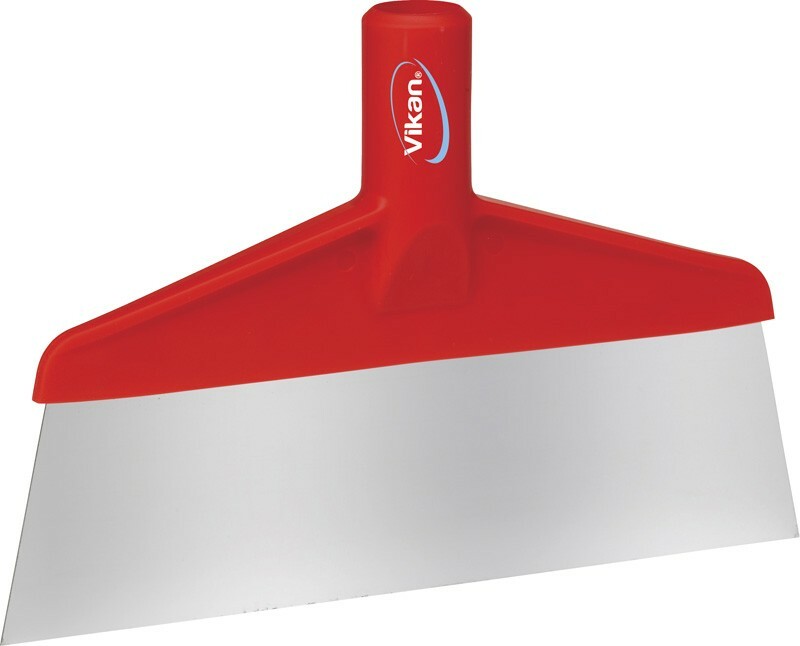 It can also be used inconjunction with any of the Vikan range of handles, this scraper is perfect for use in food factories. 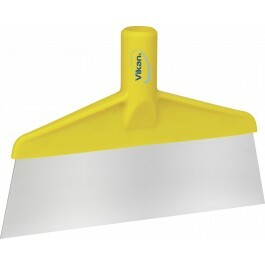 The scraper is suitable for removing stubborn food debris from floors and other surfaces. 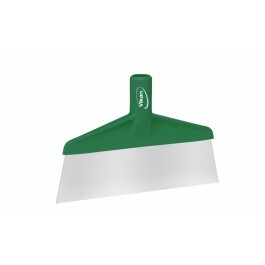 Non-tainting, rust-proof, stainless steel blade.